Martinez’s Career Passing Day Powers Huskers: Taylor Martinez threw for a career-high 354 yards and five touchdowns to propel the No. 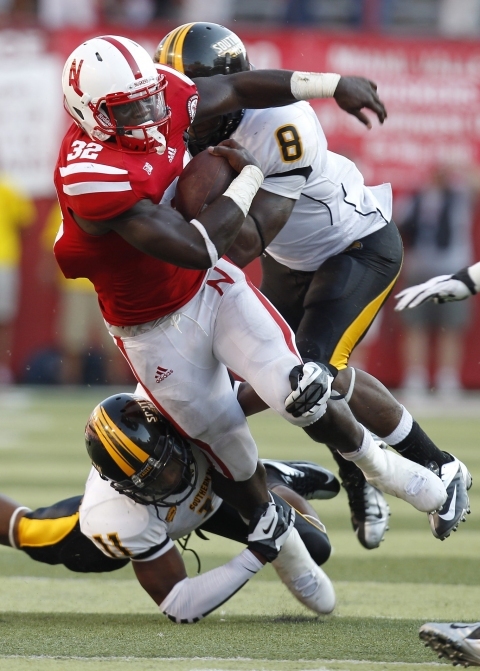 17 Nebraska football team to a 49-20 victory over defending Conference USA champion Southern Miss. The Huskers rolled to 632 yards of total offense, including 278 rushing yards on 45 carries, despite losing All-Big Ten running back Rex Burkhead to injury in the first quarter. Maybe this spread option can be Taylor Martinez’s offense after all. It better be, since Burkhead could be unavailable for a while. The defense still looked a little vulnerable, especially in the middle of the field. It’s possible [Martinez is] not just an uncommon talent. He might be an uncommon thinker too. Hard to remember the last time Nebraska committed just two penalties and committed zero turnovers in a game. Beck is like a toddler with toys spread all over the living room floor. Which one next? The competition will get better. Nebraska must, too. Especially on defense. There are a lot of weapons in this offense. And, suddenly, a director under center with a ton of confidence.